Genes, seasonal conditions or pure chance? Leo Davis is an orchid hunter. He is meticulous in his observations and notes details that many of us may miss. In this article he muses upon the variations that he sees in the field. You, as I do, must occasionally come upon an orchid or an orchid event that is a little outside normal experience. When I do, I wonder whether this is a purely chance event or is it caused by recent local environmental factors, or is it due to the genes of the plants. Or a combination of these? 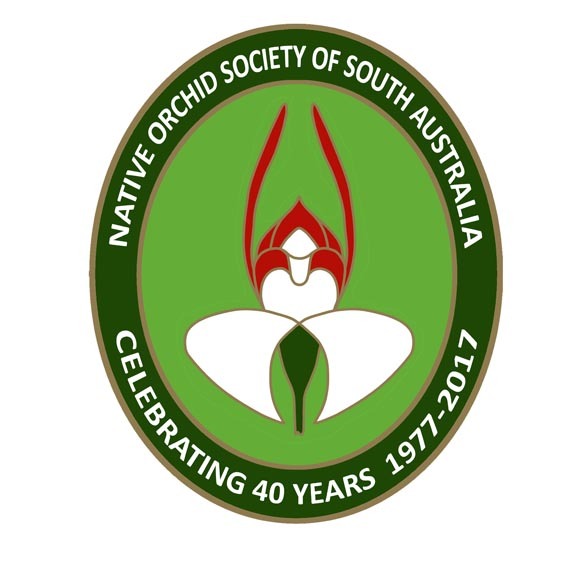 I’ve been watching a couple of patches of fire orchids (Pyrorchis nigricans) that many of you will be familiar with, one at Knott Hill N.F.R., the other at Monarto C.P., where a few plants flower every year, without the normally required stimulation by fire. I need to check whether it is the same plants that flower each year. The tall leek orchid (Prasophyllum elatum) puts up leaves at Scott Creek C.P. every year but does not flower. A fire swept through in early 2014 and most plants flowered in October. They’ve not flowered since. But over at Ramsay Way, west of Pt. Vincent, a few plants flower each year without fire. I assume genes are involved. In April 2014 I chanced upon a patch of Adelaide Hills parson’s bands (Eriochilus collinus), along Moore’s Road, at Morialta C.P., in which the majority of plants had three flowers per stem. Was this because of favourable conditions or genes? Over the next two seasons I saw only the occasional double header and mainly single flowered plants. I will continue observations and records. In July 2015 I found a dense patch, about 3 m2 in area, of hundreds the common mallee shell orchid (Diplodium dolichochilum), in Ferries-McDonald C.P. As usual less than ten plants were in flower, but two of them were double headers. I’ll be checking this season and expect this not to be a chance event but one due to genes. On May 27, 2012, Bob Bates led a NOSSA outing to Scott Creek C.P. and as ever, when he leads, we saw and learned a lot. He showed us a patch of fringed hare-orchids (Leporella fimbriata) that he assured us should not be growing there on that steep rocky site and that the plants would not flower most years. Unfortunately he was right, as usual. I could not find plants in 2013 and 2014 and it took three searches in 2015 to find a very few leaves. On May 10 this year, over an area of less than 10 m2, I found perhaps 50 leaves and just seven plants in flower. Three of these had three flowers and a tiny unopened bud (check the photo) and the others were doubles. I’ve never seen a triple flowered plant in hundreds I’ve seen at Knott Hill N.F.R. Are genes in an isolated population at play here? Given the paucity of flowering at this site, it may take me years to sort this one out. QUESTION: Are there more than one species called Hare Orchid? This one [Leporella fimbriata] looks different from Leptoceras…? Why are they in different genera? Originally they were described the genus Caladenia but as the knowledge information increased other genera were created. Thus Leporella fimbriata was put into Eriochilus, as Eriochilus fimbriatus (1882), then Leptoceras fimbriata and finally into its own genus Leporella (A S George 1971). Caladenia menziesii became Leptoceras menziesii. “Plant classification systems rely on interpreting and measuring the features in one group of plants and comparing these with another group, either seeking difference or similarities. Studies in orchids are usually biased heavily towards features of floral morphology but recent studies have revealed the importance of vegetative features in the roots, stems and leaves. The most successful classification system is one that is balanced and based on a wide range of vegetative and floral features.” To add to this list is the molecular studies being done on orchids. This means the authors advocating change need to clearly show why a name change and/or a new species is warranted. “True Caladenias have hairy scapes and hairy leaves. 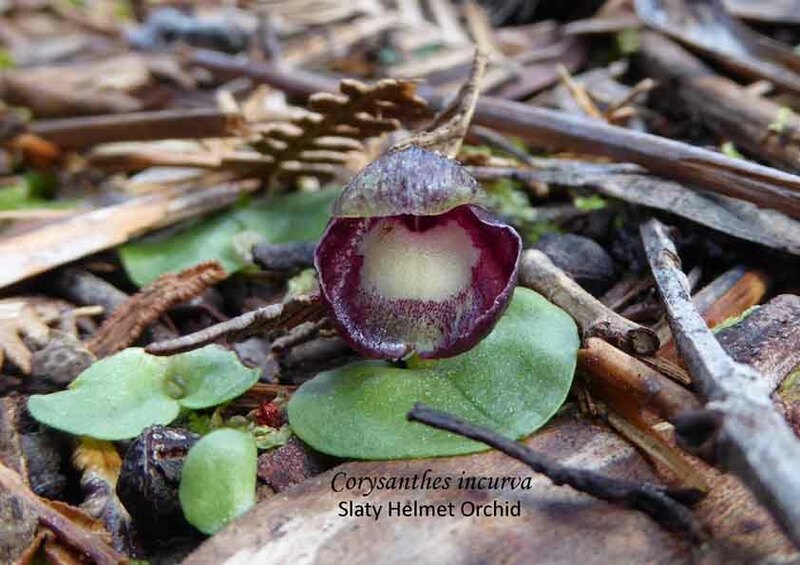 (C. menziesii now believed to belong to a separate genus is glabrous)”. Even though they are not Caladenia, why not have them in the same genus for both have glabous (without hairs) leaves, more leaves than flowers, erect spathulate (spoon shaped) glandular petals, colony forming, similar distribution. There are similarities. In fact, Bates (2011) calls them sister genera but despite the similarities there are enough differences to recognise them at genus level at present including “different flowering times, different mycorrhizal fungi associations and different pollination” some of which are detailed in the chart below.